The Classcraft mobile app is the perfect way for teachers, students, and parents to manage Classcraft on the go. This is a companion app for Classcraft. Teachers, students, and parents will need a desktop computer to create their account. Start playing for free by visiting game.classcraft.com. • Track student behavior over time with Analytics, and more! • Embark on epic learning adventures with Quests, and more! • View game feed entries pertaining to your child, and more! Classcraft is an Engagement Management System that uses gaming principles to address student motivation. By blending students’ physical and virtual learning, the program reframes their progress in school as a game they play together. Using collaboration and play to build more empathetic and fun classroom culture, the game rewires existing social dynamics and facilitates a supportive environment where students thrive. The program can be used with any grade and subject. Classcraft is a proud supporter of the Student Privacy Pledge. Bug fixes, performance improvements, and much more. 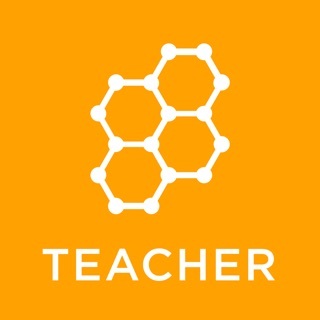 This is a message to all the teachers and users that can’t figure out how the iOS app works...first off the support team at Classcraft are great guys and gals that are more than willing to help you solve any problems if you just ask, so don’t give them a bad rating just because you can’t figure it out..secondly make sure your device is updated to latest version of iOS and make sure the game is updated to the latest version..all major features are only available on the desktop version while the app is meant to be mostly a take home secondary feature so they can complete quests and turn in assignments, train the pets, buy new items and even though some features can be used in class too, it’s not the main purpose..I’ve been using it for only 6 months and everything works fine if you know what you are doing..they are always coming out with new features and updates so I’m excited to see what they have planned for the next few months..the new vr quest is sure to be a hit with the students, and I’m sure the other new features they are planning will be a huge help for many teachers. So in conclusion don’t hate on them and give it a bad rating, they are doing a great job and just trying to make our jobs more fun and easy. UPDATE: The developers have finally updated the app, or rather Apple finally approved it! Look, the way to tell if an app is great is by its User Interface, whether or not the app is able to do what it should do, and should not be just good for what it does. This app meets none of these criteria. ISSUE #1: There are multiple times in which I will go to the app and I get stuck at the login. And I have to wait extended amounts of time for it to load. ISSUE #2: School is not some game. Especially when you are in high school. If you think, you are making high schoolers' lives better think again. This app is rubbish and actually has raised my stress level. This app is only useful for elementary school students. Make you advertisements directed towards them.